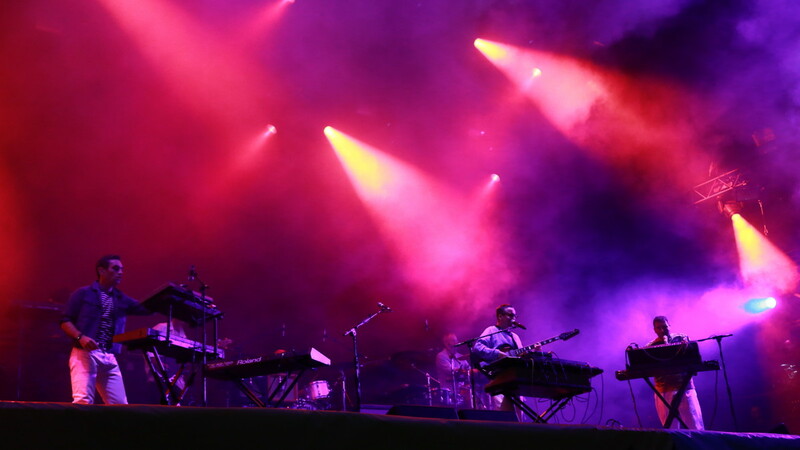 Hot Chip Mines '80s, '90s Nostalgia For Their Cover of "Dancing in the Dark"
British electro band Hot Chip has been playing a cover of Bruce Springsteen's classic "Dancing in the Dark" at thier live shows for awhile now, and just earlier today finally released a video for their techno tinged version of the song. Beginning and ending with clips taken from '80s and '90s self-improvement infomercials, the video artfully connects nostalgia for the past with the song's themes of self hatred and loneliness. Come for the LCD Soundsystem-inflected sound, stay for Bruce's enduring lyrics. Watch Red Hot Chili Peppers Give Acoustic Cover Of Hendrix's "Fire"
Fauna Shade perform "No Nostalgia" on "Sounds By The Sound"